Happy Thanksgiving! 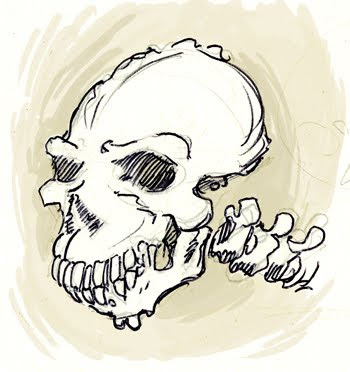 Here is a skull that I doodled at my desk during a... board meeting? Feel free to speculate on where this species fits in on the xenobiological tables.